2 Close the blade and open up the corkscrew. 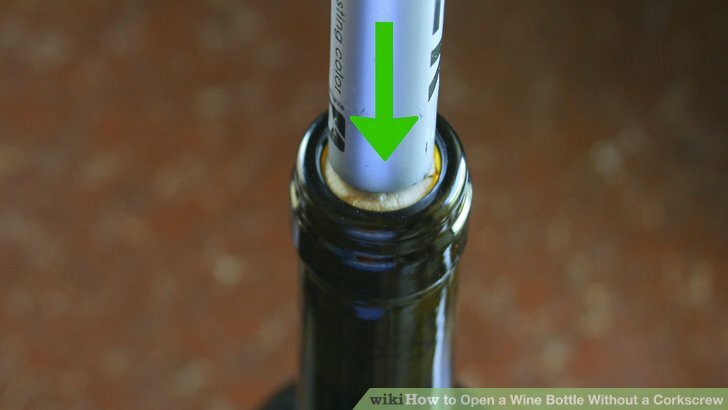 Get a firm grip on the neck of the bottle and insert the corkscrew into the center of the cork. 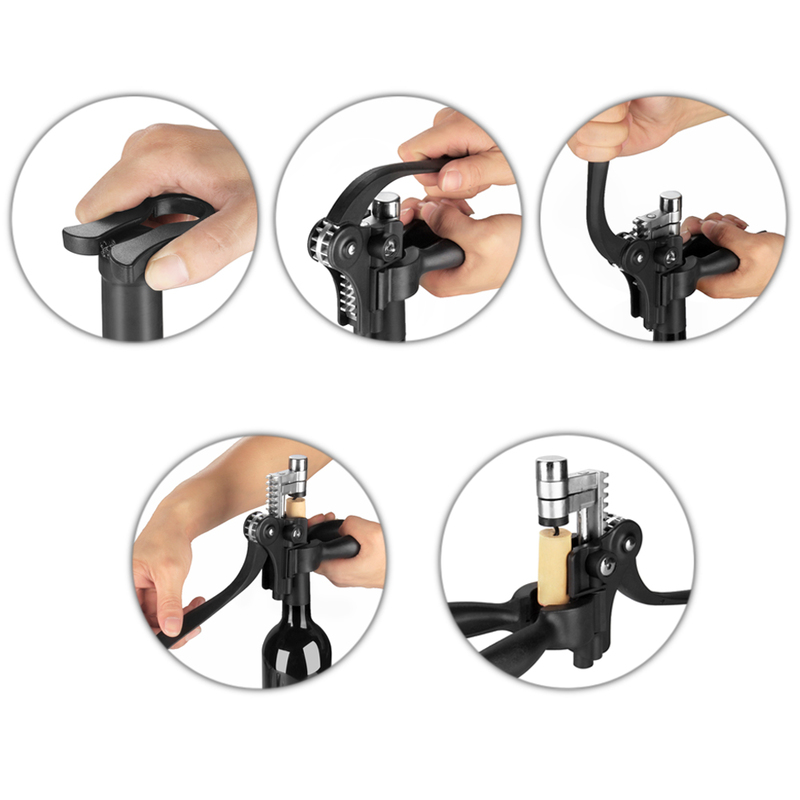 It's important that the corkscrew enters the cork straight so that the cork isn't broken. Turn slightly until the corkscrew is firmly seated in the cork.